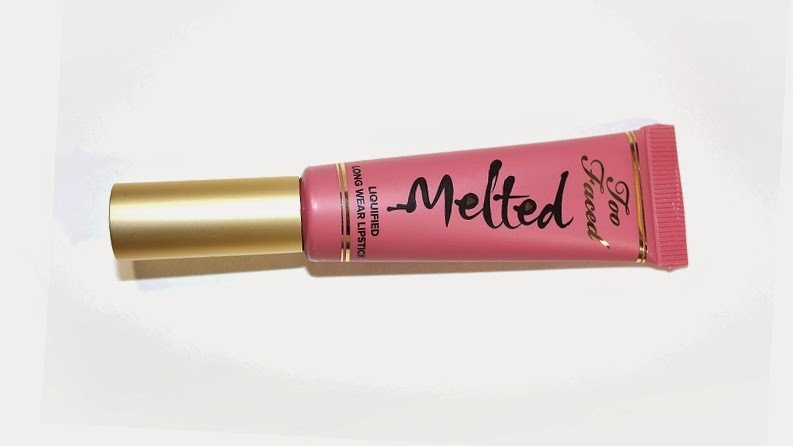 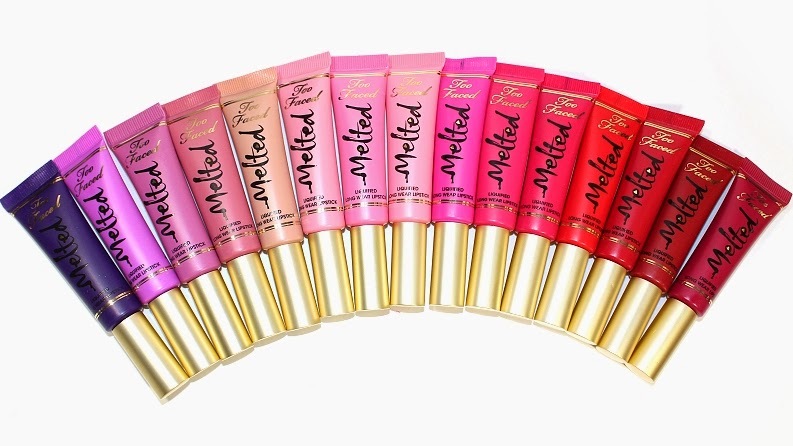 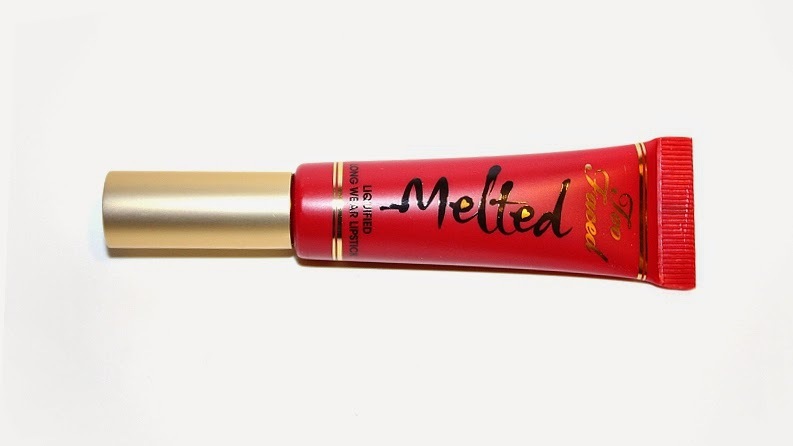 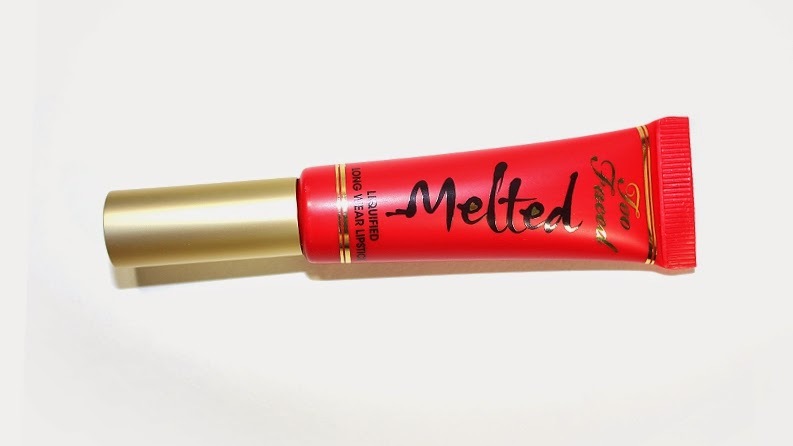 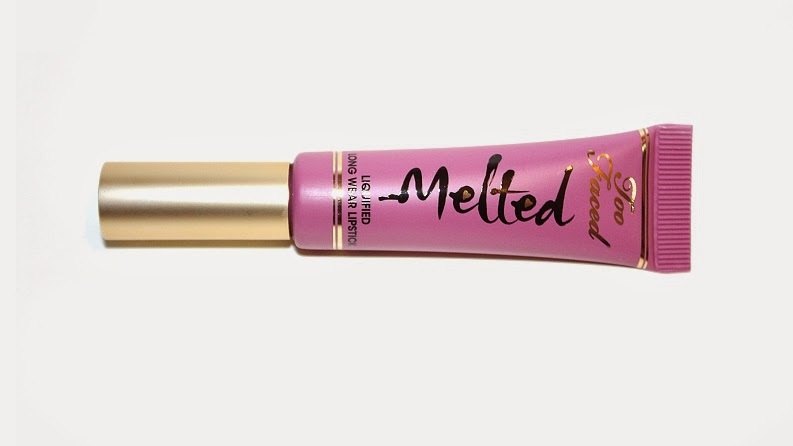 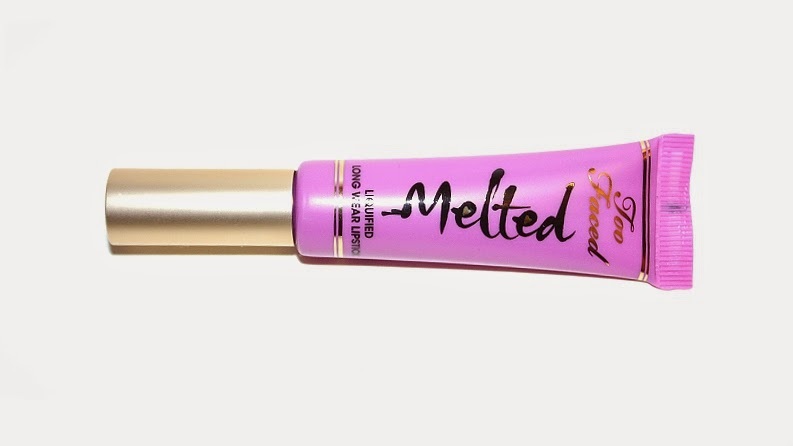 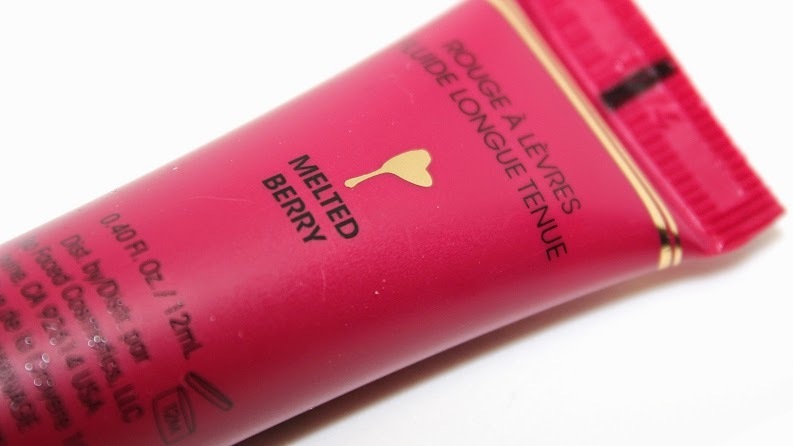 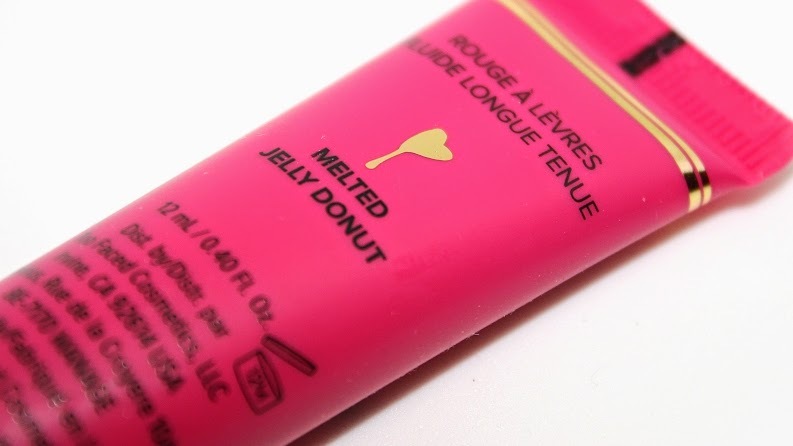 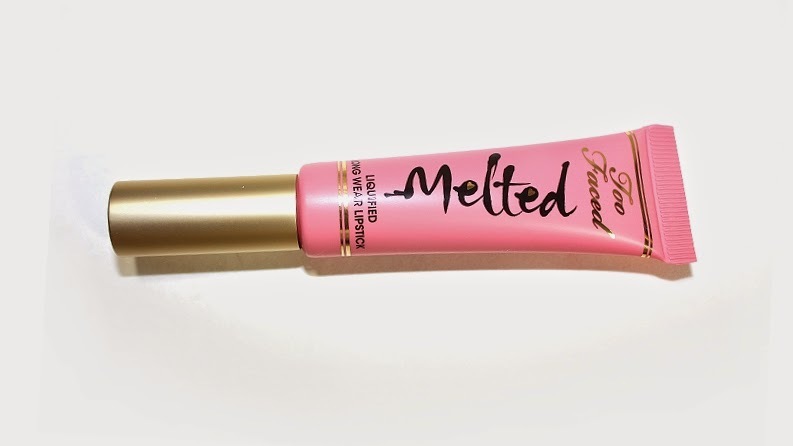 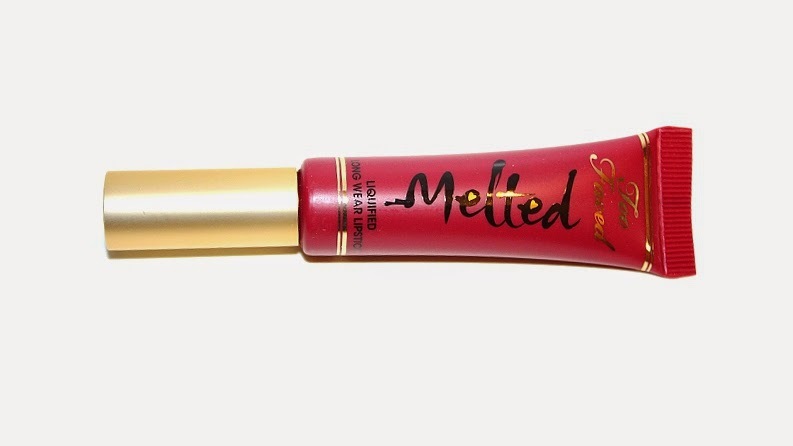 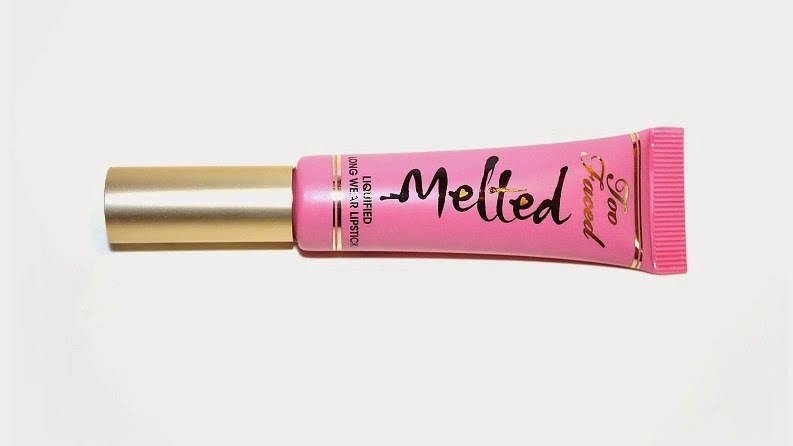 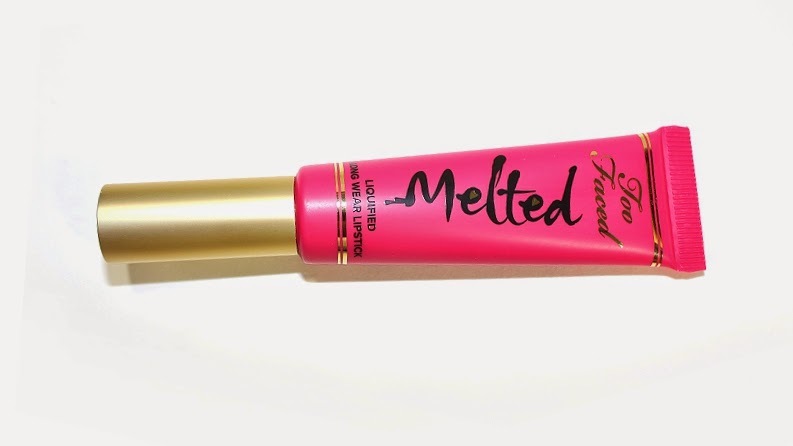 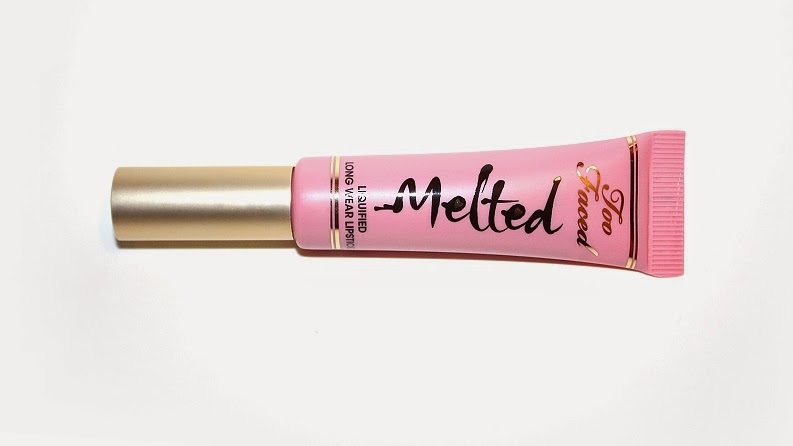 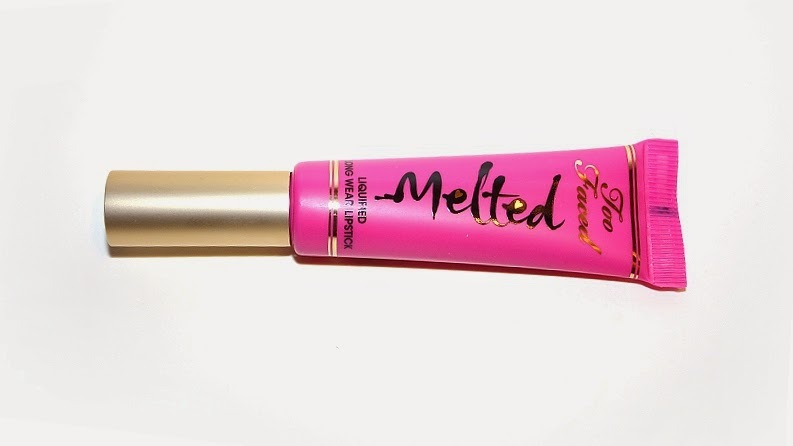 Too Faced Melted Liquified Long Wear Lipsticks (0.4 oz) individually retail for $21 USD ($25 CAD) and are currently available in 18 shades. 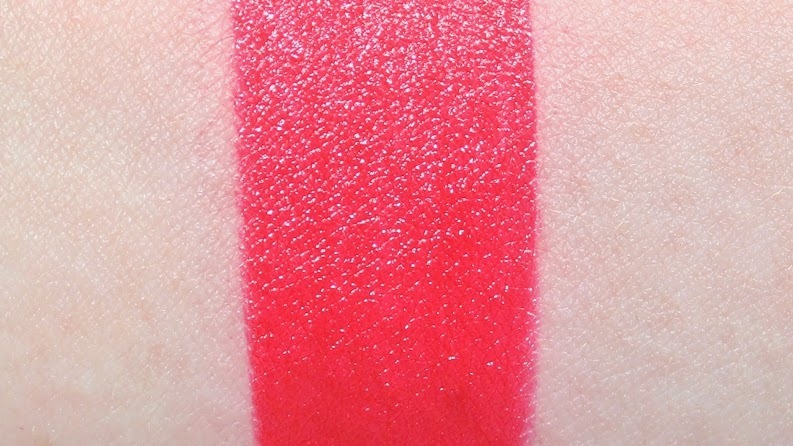 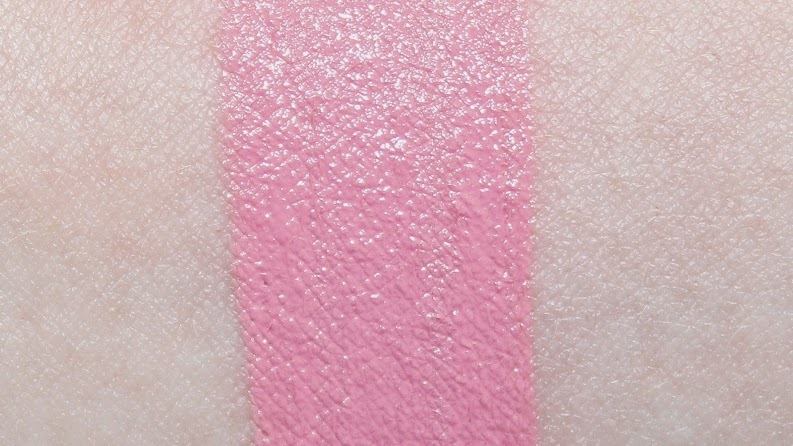 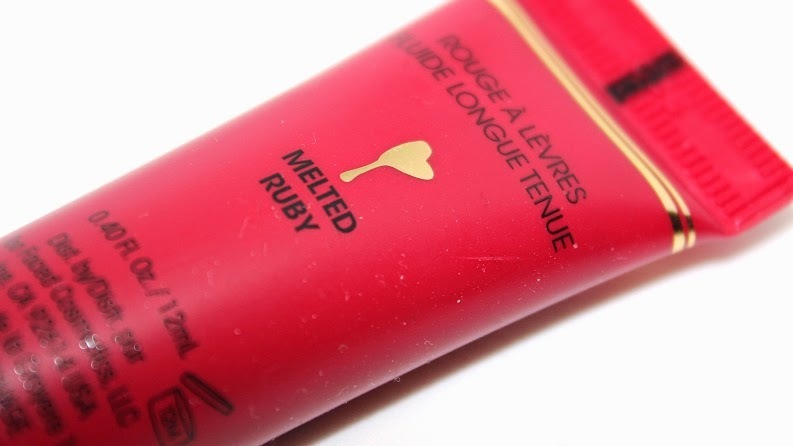 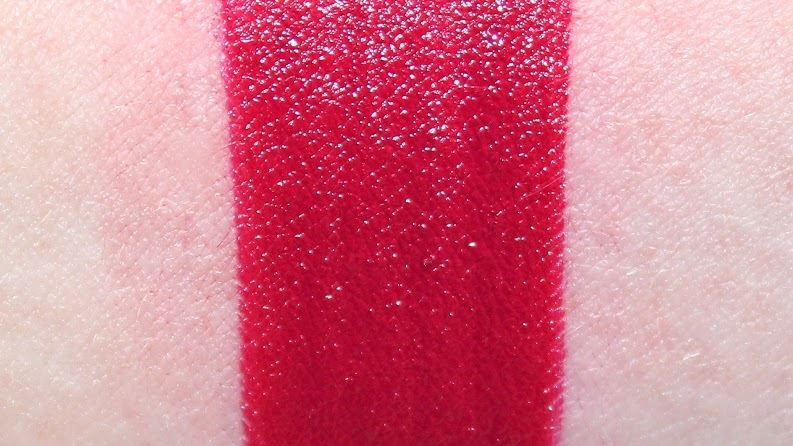 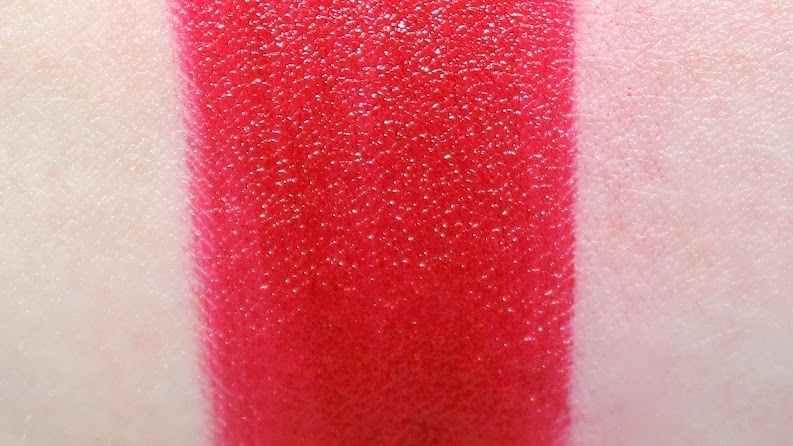 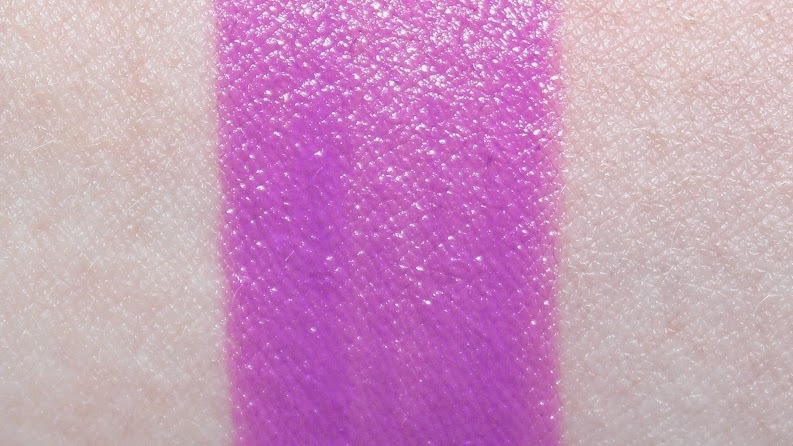 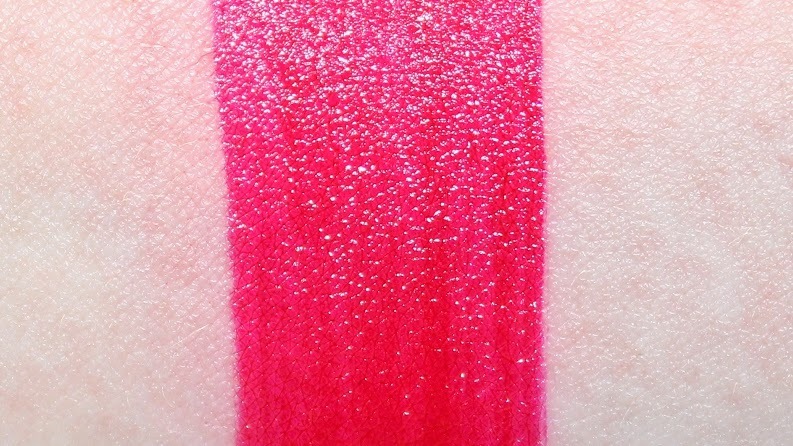 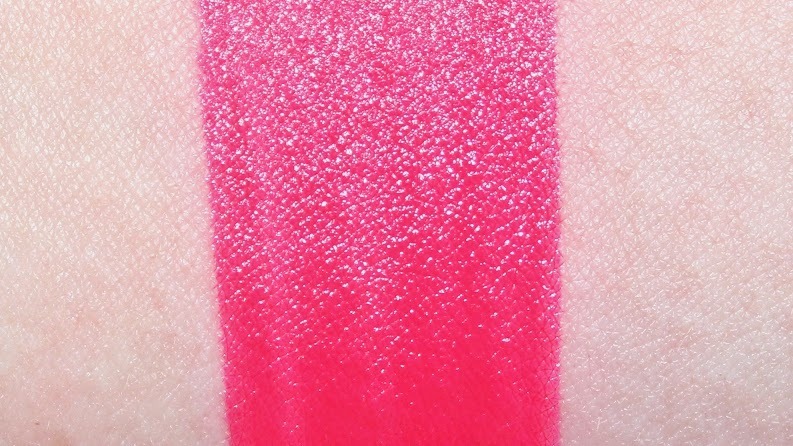 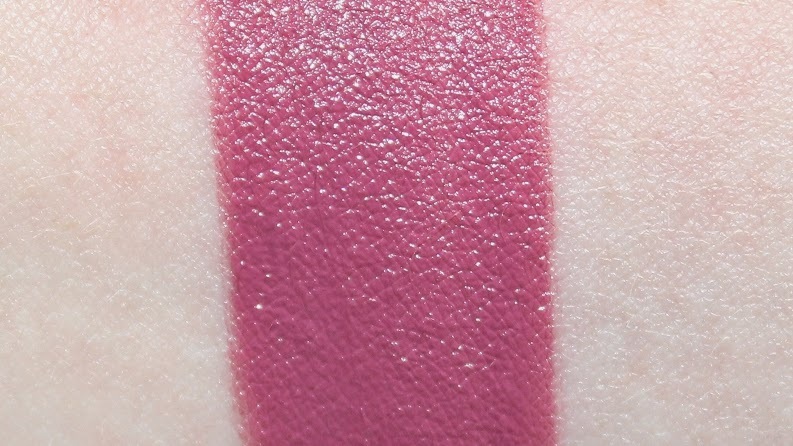 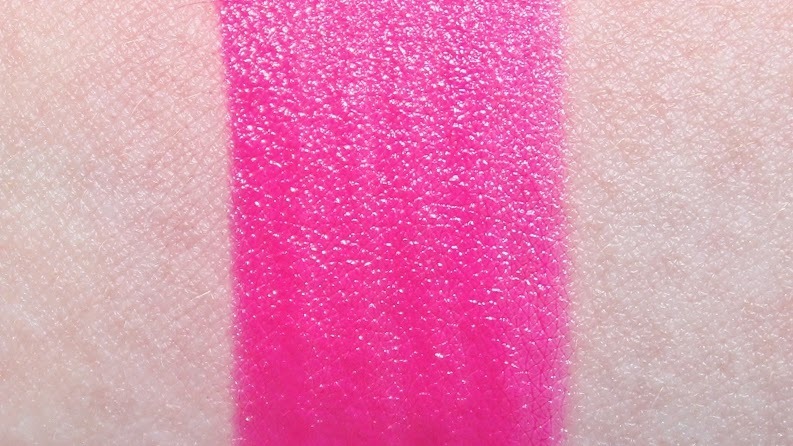 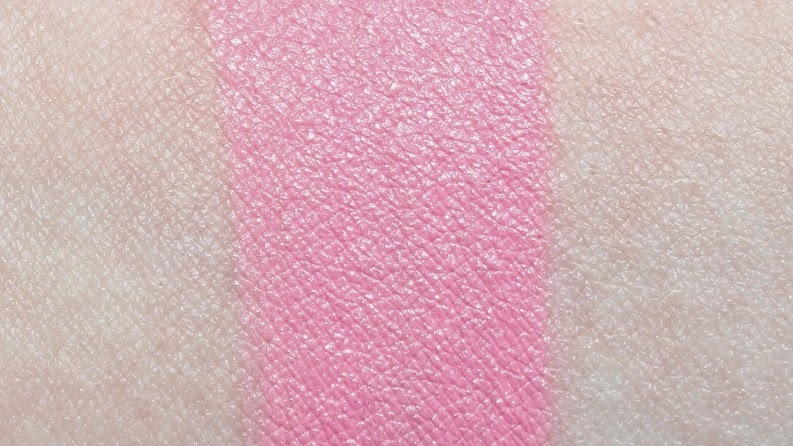 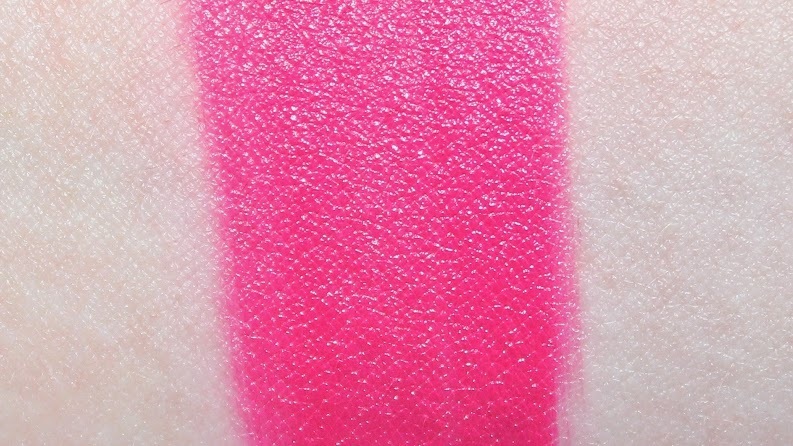 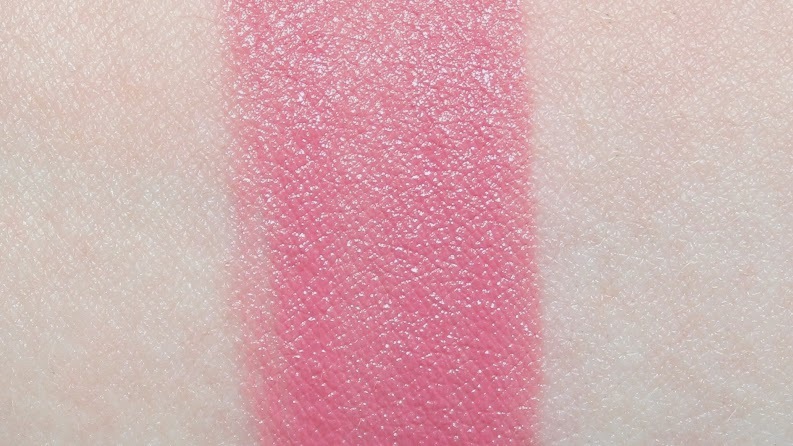 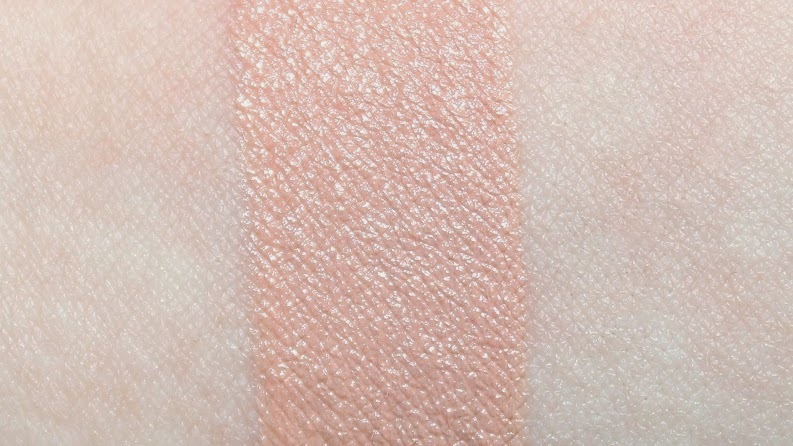 They are said to be "an intensely saturated lip color with a precise tip applicator." 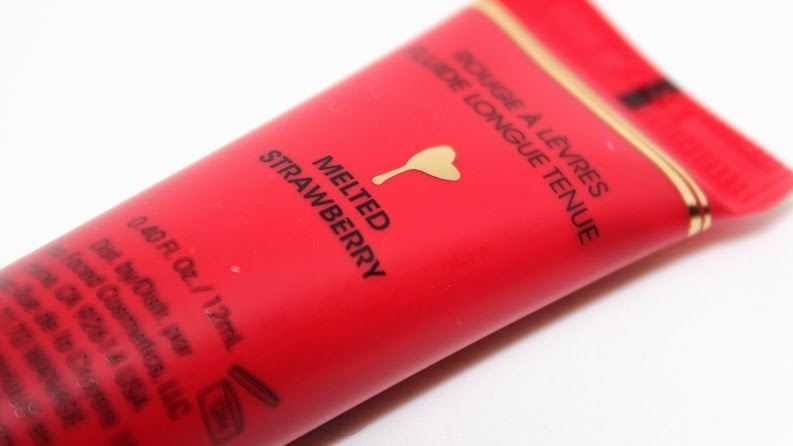 The packaging is a simple, colored tube with a screw on cap. 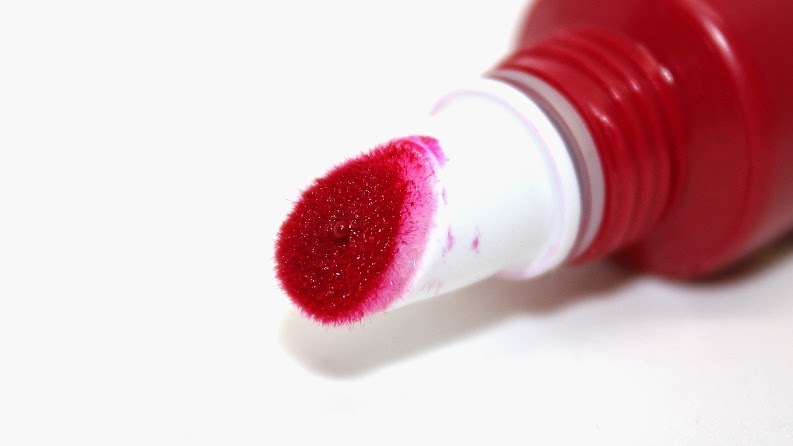 The color of the tube indicates the color of the lipstick and it's an exact match, which is incredibly helpful. 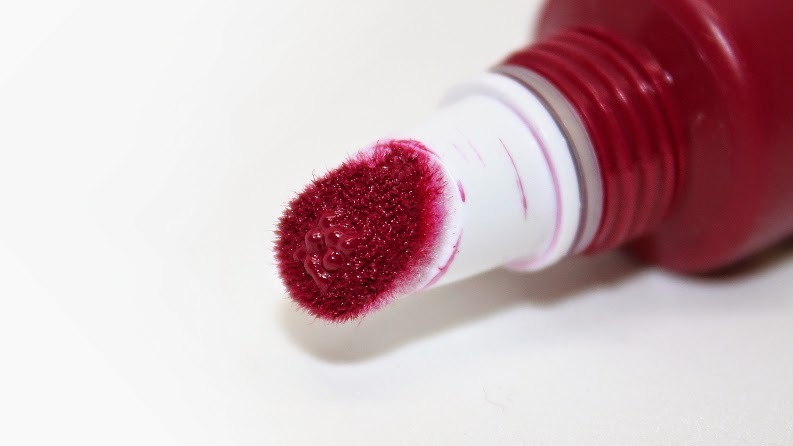 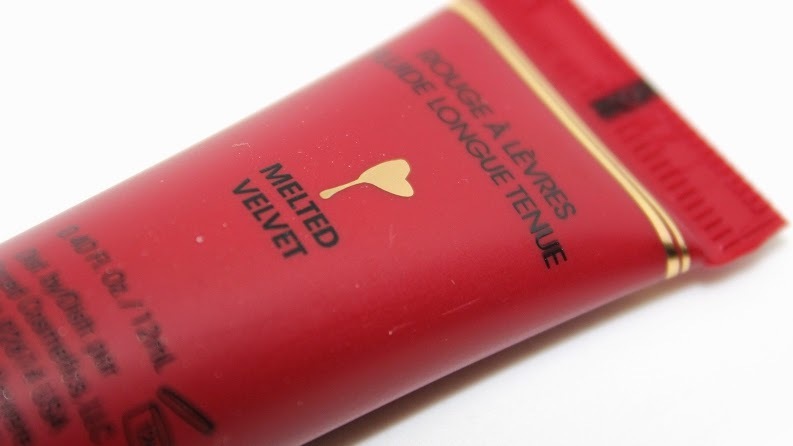 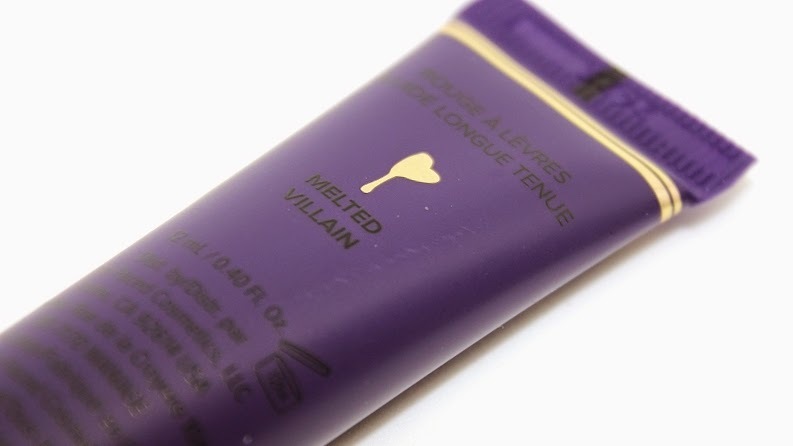 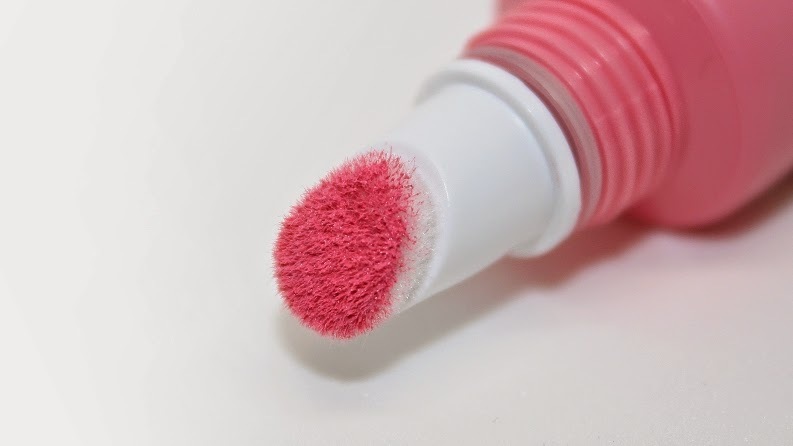 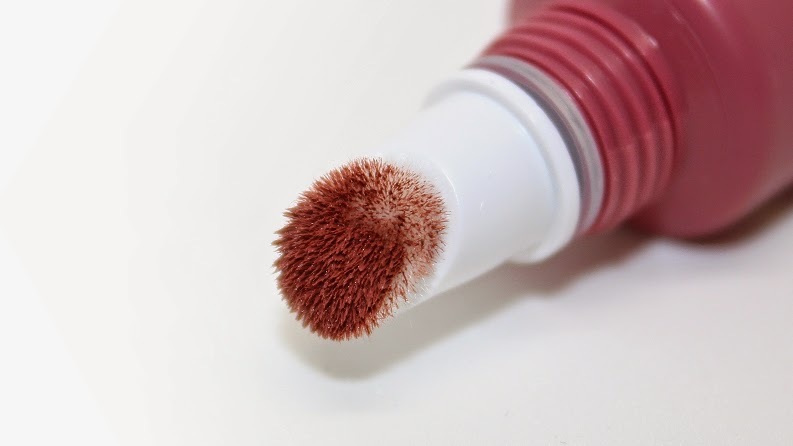 They feature an angled velvet applicator which disperses the lipstick through tiny holes by squeezing the tube. 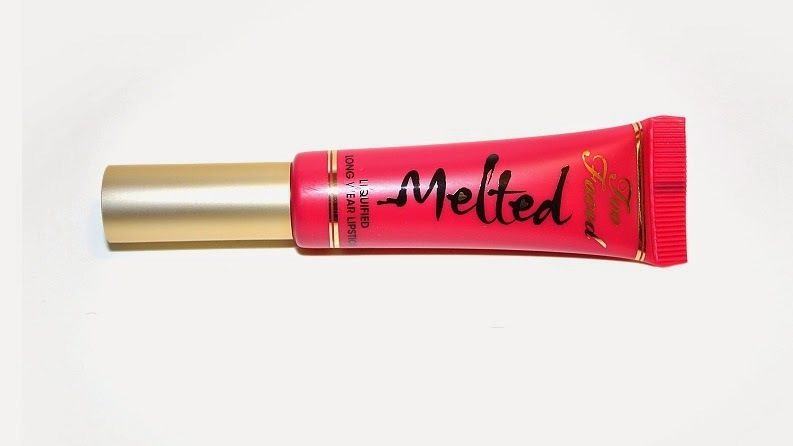 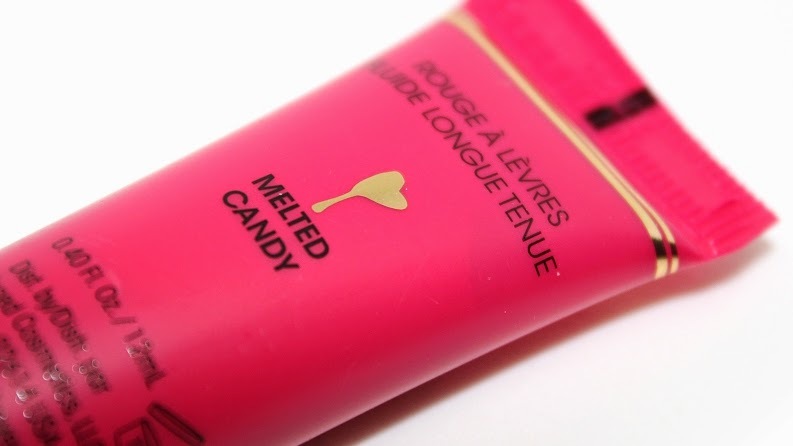 The formula is exactly as described; a melted lipstick. 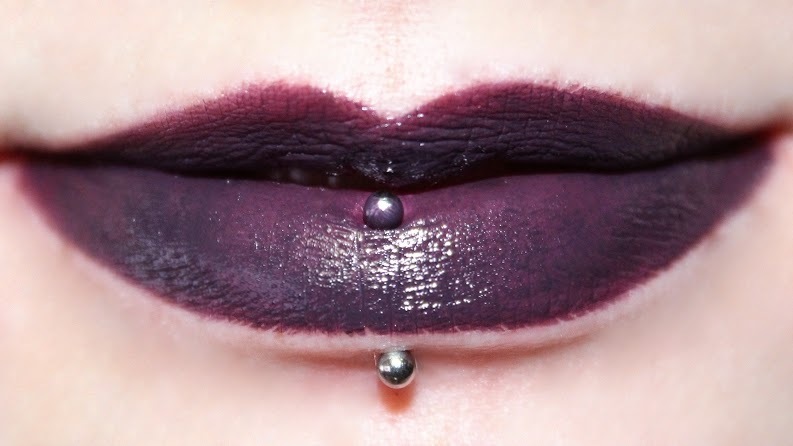 The consistency wasn't too thick where it became troublesome to apply, but also not too thin where the product would instantly bleed outside the edges of my lips. 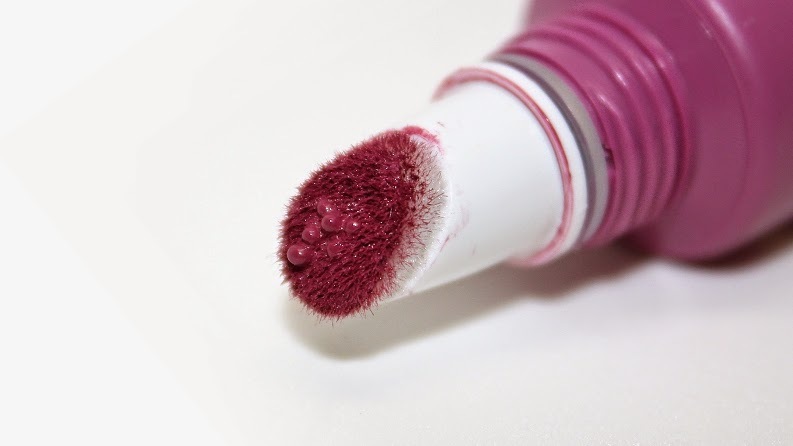 The lipsticks are extremely comfortable to wear, like a lipstick and were neither hydrating nor overly drying, like lip stains tend to be. 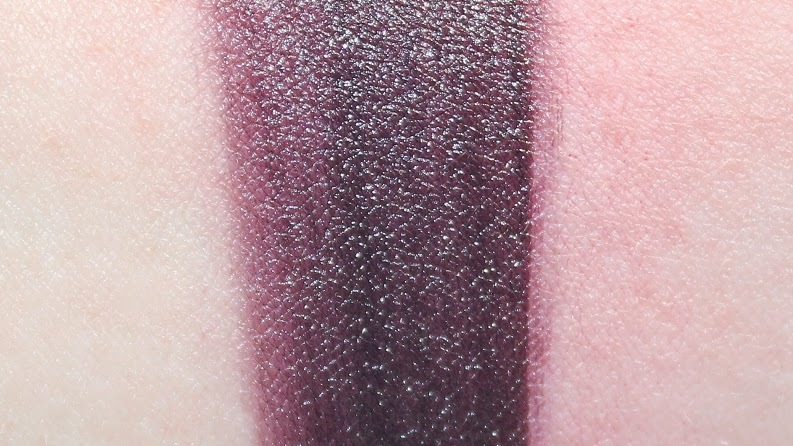 The shades were consistent in being richly pigmented, smooth, opaque and longer lasting. 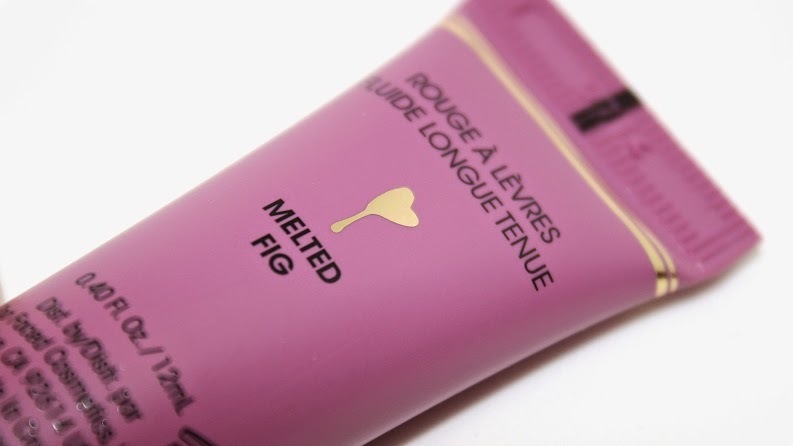 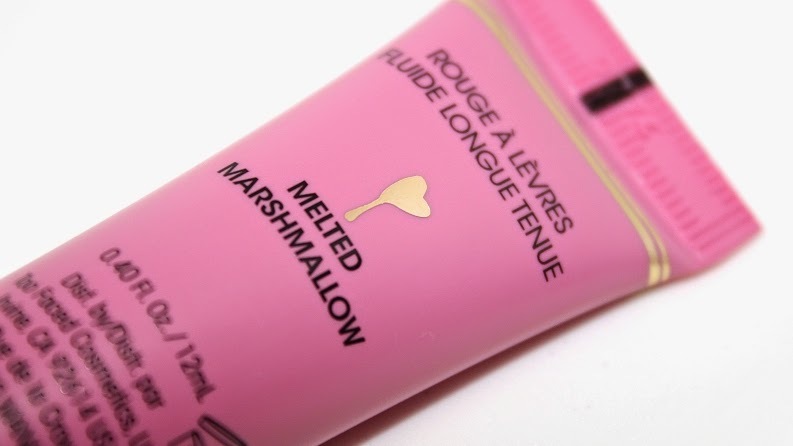 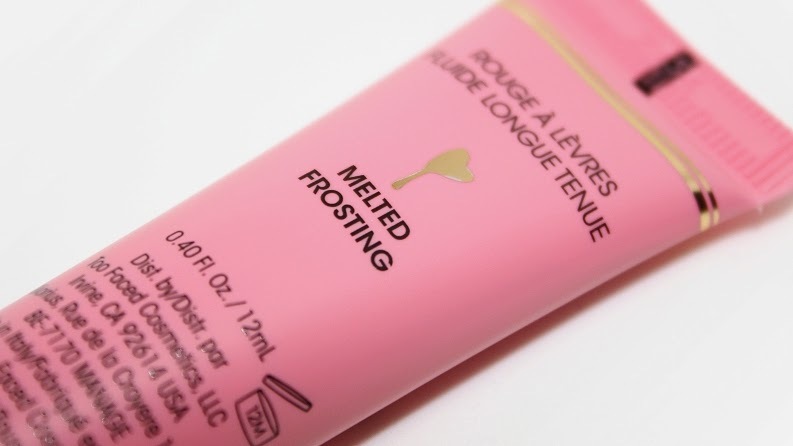 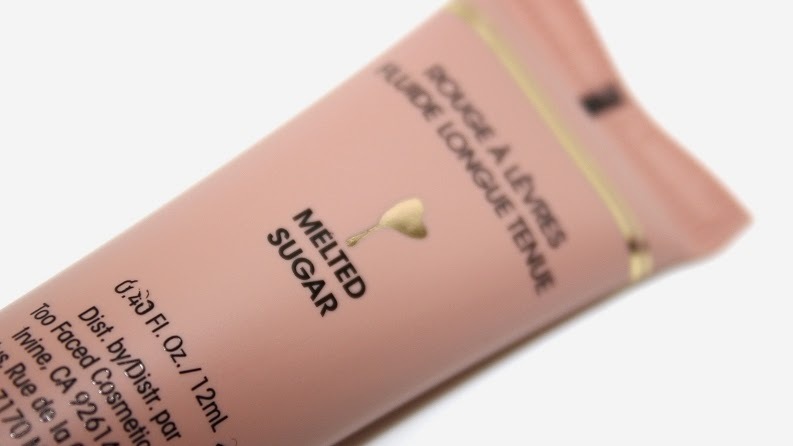 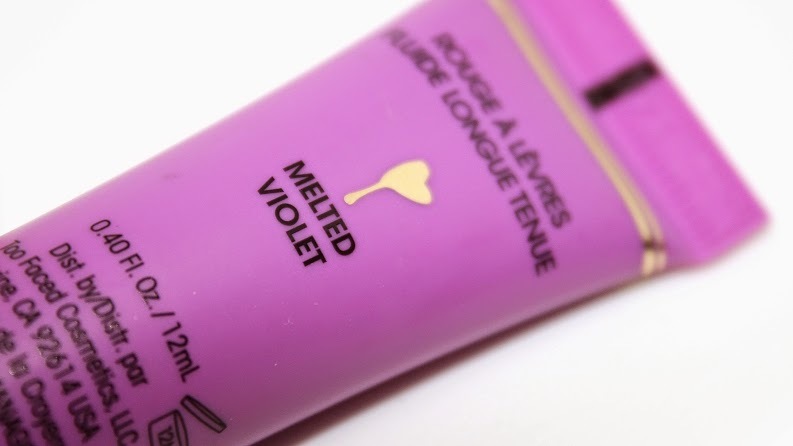 A little product goes a very long way and they have a creamier, glossy finish on initial application that turns to a satin matte throughout wear—meaning they never completely set and dry to a matte finish. 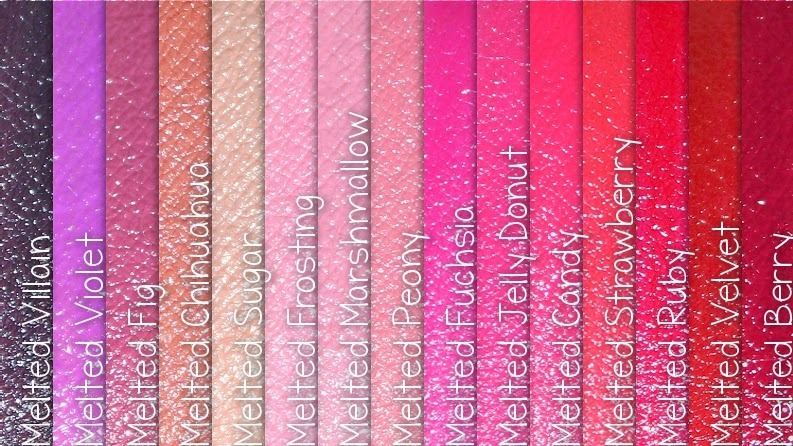 Overall, these lipsticks are a phenomenal product and they've been a personal favorite since they first released. 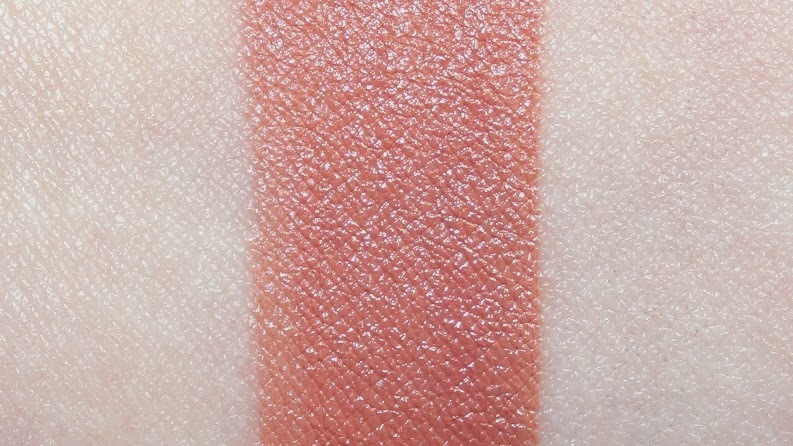 It's always a delight to see new shades added to an already brilliant range. 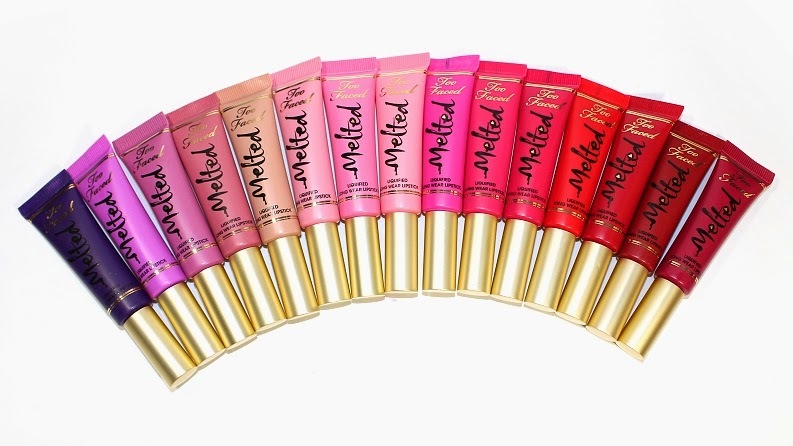 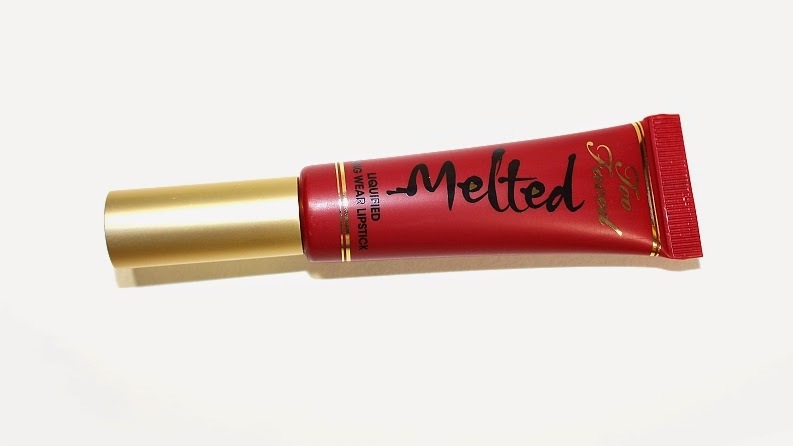 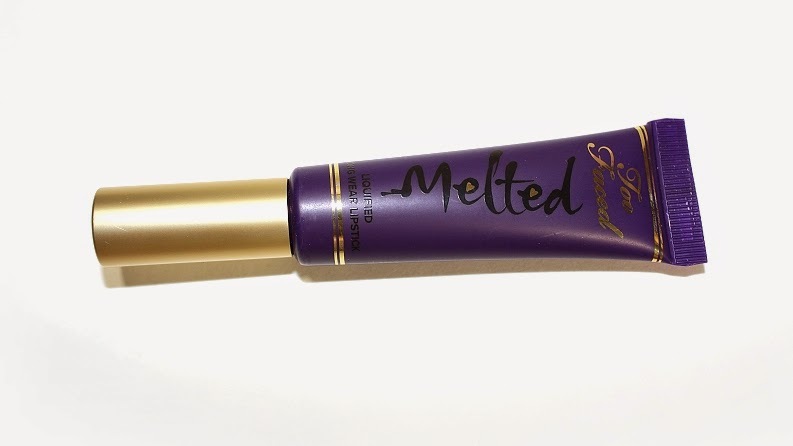 The Too Faced Melted Liquified Long Wear Lipsticks really are the happy medium product between a lipstick and a lipstain and I definitely, highly recommend checking them out if you haven't already! 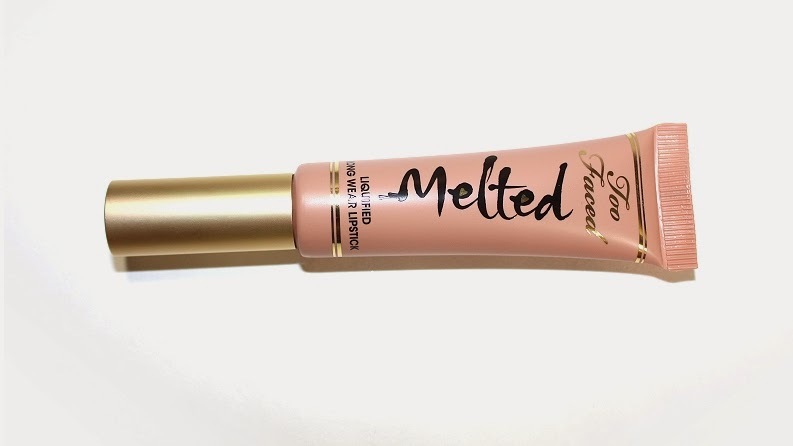 Available now from Too Faced and Sephora ! 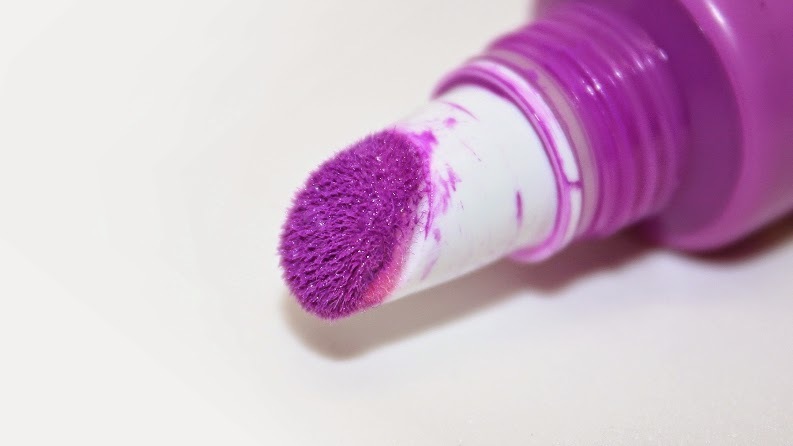 Interested in the previous overview? 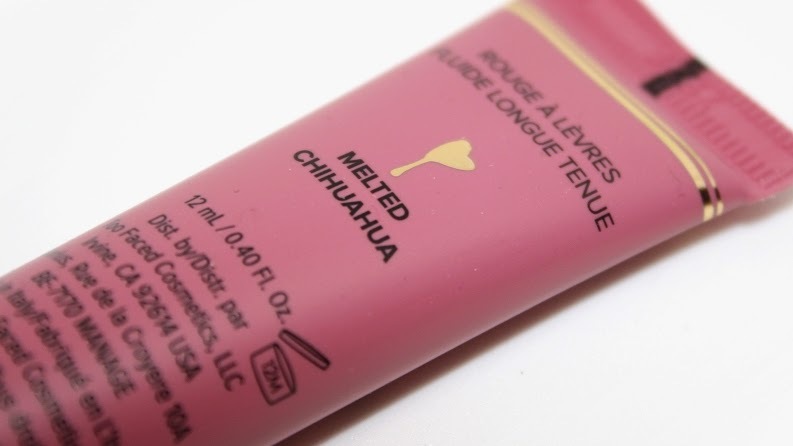 Click here for the 2014 round-up! 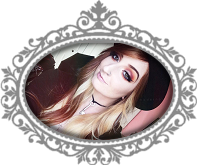 Disclaimer: All product(s) featured were purchased by me for personal use, post may include affiliate links.